Why did everything cost 2/6? I was aware of that system, but I could never make head or tail of it. space. invadere wrote: Why did everything cost 2/6? Snarfyguy wrote: I was aware of that system, but I could never make head or tail of it. 240 pennies in a pound, divided between twenty shillings. Simple. I still can't get my head round this decimal nonsense. the short answer is, it wasn't always that, but while you heard 'one and six' or 'two and six' (or two and a kick, if you were a 1950s' Londoner), your other examples would be said 'three and thruppence' or 'five and tuppence'. The same applied to a penny, fourpence and fivepence, but not particularly to seven eight and nine, and rarely to ten and eleven. I've no idea why this is/was. But it was much more common to see or hear those prices. If you look at old supermarket ads, or hear people talking in old films, it's often something-and-six. It really is! space. invadere wrote: But it was much more common to see or hear those prices. If you look at old supermarket ads, or hear people talking in old films, it's often something-and-six. It really is! Oh in that case, the answer's simple: 2/6 was two and a half shillings: same reason why prices are often in multiples of five today. simple arithmetic was the key. Plus there was a coin for 2/6 (half a crown), eight in a pound and so on. 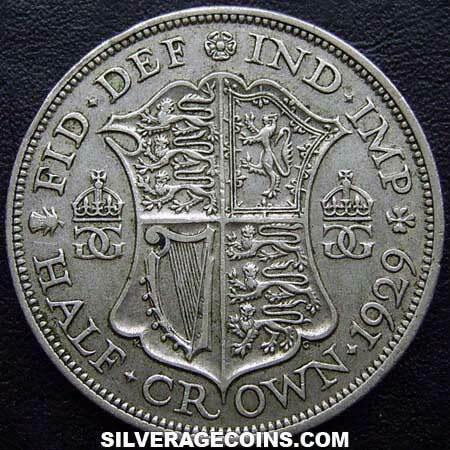 Rayge wrote: Plus there was a coin for 2/6 (half a crown), eight in a pound and so on. Was a pound originally the equivalent of a literal pound-weight of pennies? That's kind of what I gather from Alf's post up above, but I never know if I can take him seriously or not. harvey k-tel wrote: Was a pound originally the equivalent of a literal pound-weight of pennies? That's kind of what I gather from Alf's post up above, but I never know if I can take him seriously or not. no, although in the distant past it was roughly equivalent to a pound of gold - at least in theory. The old British money system, known, long before the autotheistic chemical was discovered, as l.s.d., was based on the Roman librum (literally a pound weight), solidarii and denarii, and old gold coinages, such as the Crown (five shillings) more or less applied to this principle. Pennies, though, were always made of base metals (copper and/or cupro-nickel alloys). I find the old British money system as baffling as it is interesting. space. invadere wrote: That's a beautiful thing. and remember, more than enough to let 1001 clean your carpets!! !